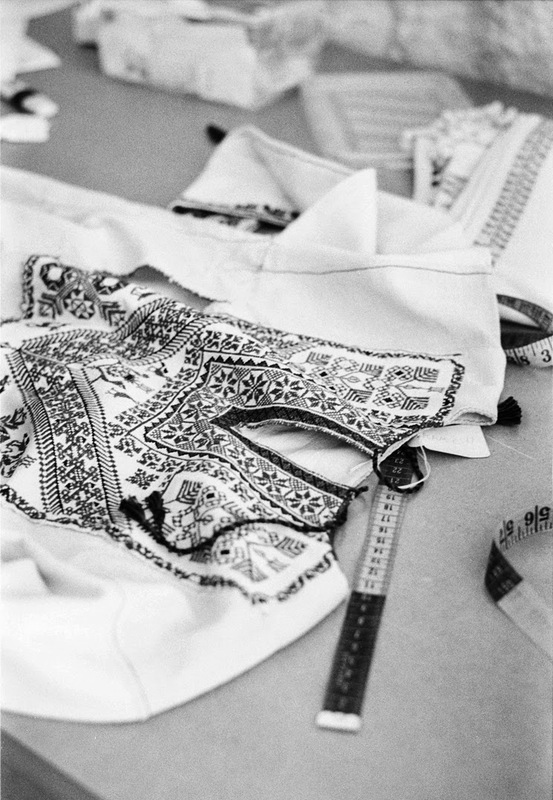 Thobe stands for dress and Tatreez, or embroidery on the thobe, is a Palestinian tradition deeply rooted in the history and culture of Palestine. It is a form of art and a language of expression. If we study the symbols and patterns of each area of Palestine, we can witness the connection of the Palestinian people to their land. Tatreez depicts not only the surrounding nature but also rites of passages and historical events. becoming an individual work of art. Women's costume also contained an intricate communication system expressing the wearer's status, wealth and geographic origin by means of their style and decorative elements. Embroidery played an important part in village life, and was thought to reveal a woman's character and personality as well as reflecting her economic status. Embroidery colour preference was primarily linked to regional identity, with Palestinian embroidery possessing a complex colour language. The main embroidery stitches used were cross stitch and couching, worked with floss silk. Each embroidery pattern was named, with geometric and abstract designs being supplemented by curvilinear and representational motifs introduced by European missionaries and educationalists after the 1930s. Embroidery motifs also reflected the political environment of the time. For example, the Pasha's Tent pattern first appeared at the time when the region was ruled from the Ottoman Court, while the Officer's Pips pattern was adopted during the British Mandate, imitating British military symbols of rank. Thus embroidery acted as a symbol of evolving Palestinian identity by historically recording individual interpretations of the political and cultural events that touched the lives of Palestinian village women. 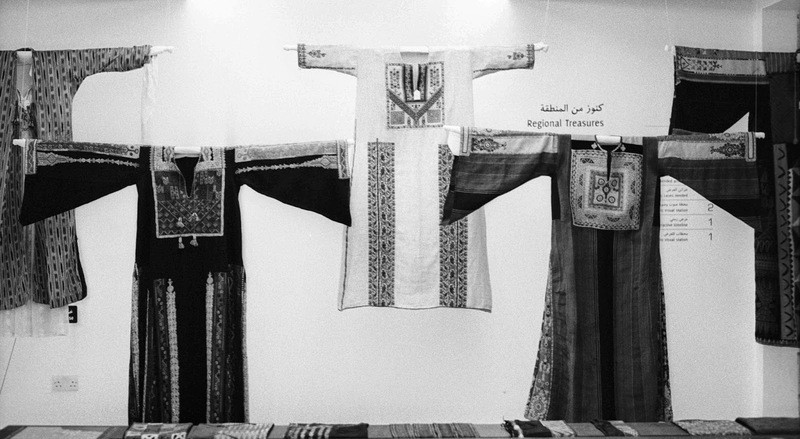 "Threads of Identity" by Widad Kawar is one of the most fascinating books and records of the Palestinian heritage through costumes and fabrics. Widad Kawar spent more than 50 years researching, collecting and preserving part of the heritage of Palestine. She has made it her passion to combine her love for textiles and Palestinian heritage into one, creating the largest collection of Arab heritage collected from different countries around the region, but mainly Palestine, and her current residence Jordan. Through her collection she explains the depth and history of each piece. In 2012 Widad Kawar received the prestigious Prince Claus Award for her valuable contribution, passion and commitment in rescuing and preserving Palestinian, Jordanian and wider Arab cultural heritage.